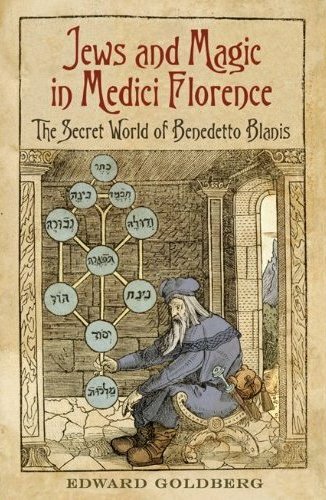 Jews and Magic in Medici Florence: The Secret World of Benedetto Blanis: Who's that guy...? "The one on the cover? With the boots and the funny hat? Is that Benedetto Blanis himself?" More than almost anything in the world, I wish we had an authentic likeness of Benedetto—but that is asking for a very great deal. 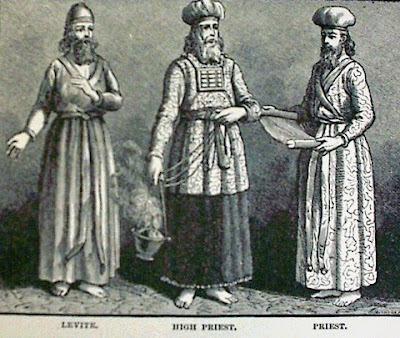 In the sixteenth and seventeenth centuries, Italian Jews seldom had their portraits done. Few could afford them—and those who could seemed to shun "graven images". In the course of ten chapters, Gikatilla presents some three hundred variants of the name of God. 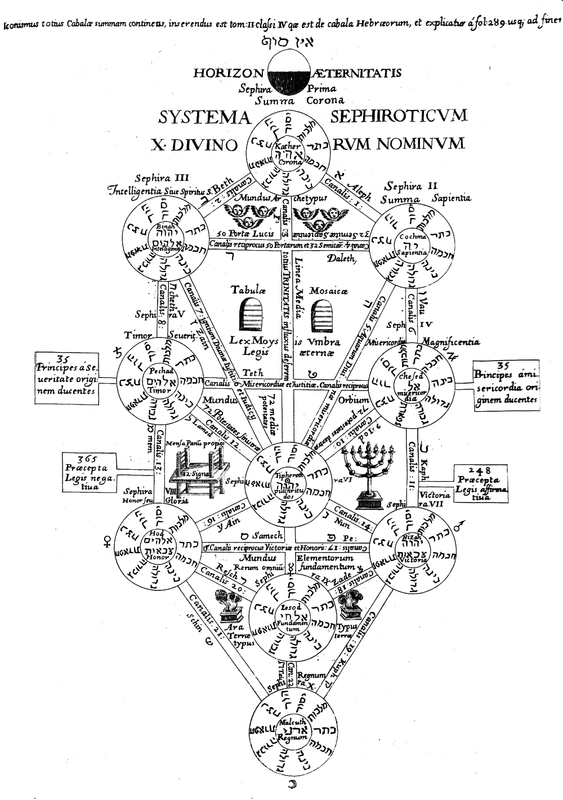 This scheme corresponds to the ten sephirot—the ten emmanations of the divine presence that structure most Kabbalistic practices. 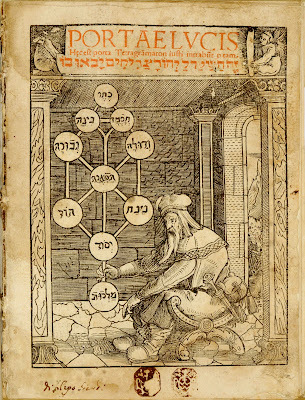 On the cover of his Latin edition, Riccio shows Gikatilla contemplating a rudimentary Tree of the Sephirot—labeled in Hebrew. Inside, he offers a useful translation for his mostly non-Jewish readers. Riccio had no idea what Gikatilla looked like, so he offered a compelling archetype of the Hebraic Sorcerer. The “Master of Miracles” is dressed like a priest from the ancient Temple—with long hair, a beard and a soft turban. Riccio also incorporated another archetype—the Wandering Jew. Temple priests normally went barefoot on sacred ground, but Gikatilla is lumbered with heavy traveling boots (he also carries a pouch and a utility knife). He is a miracle worker in exile—empowered yet powerless—embarked on a long journey of cosmic exploration. 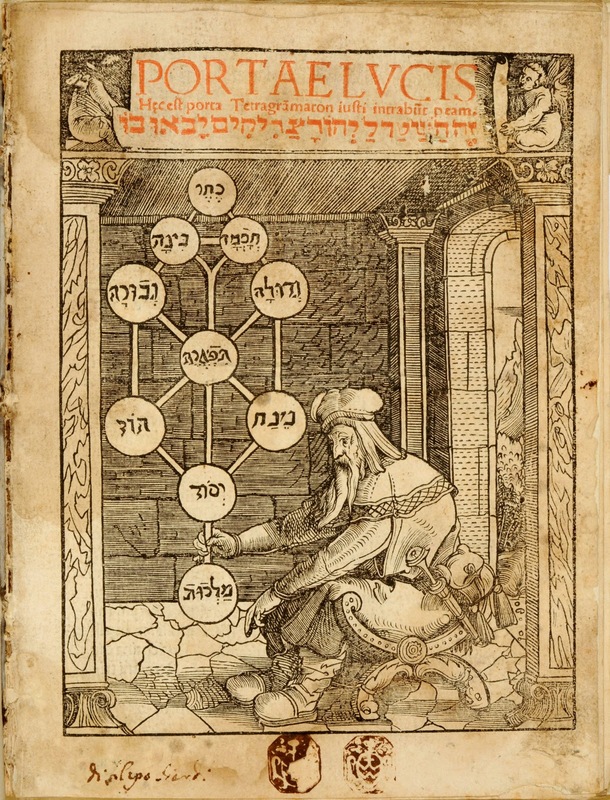 - Joseph Abraham Gikatilla, Portae lucis/Sha'are Orah/Gates of Light frontispiece), Augsburg 1516 (Florence, Biblioteca Marucelliana). 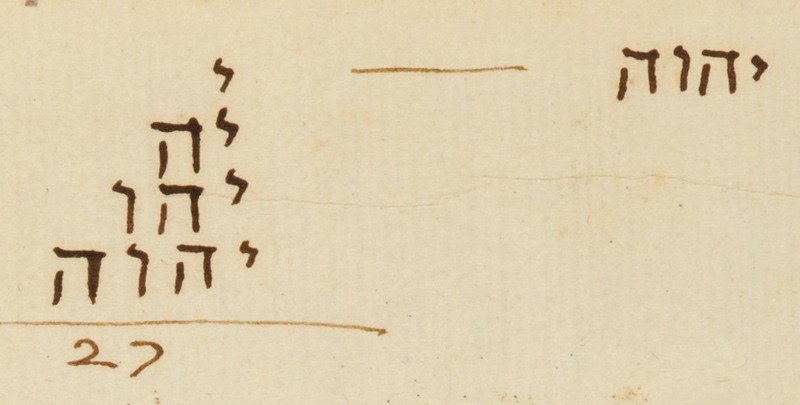 - "by the Great God", in Italian and Hebrew; in a letter from Benedetto Blanis to Don Giovanni dei Medici (Florence, Archivio di Stato). 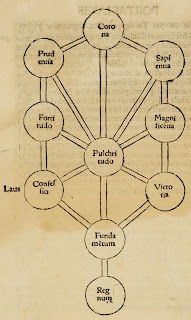 - Numerological exercise with the unspoken name of God (inscribed on the flyleaf of the Marucelliana copy of the Portae lucis). 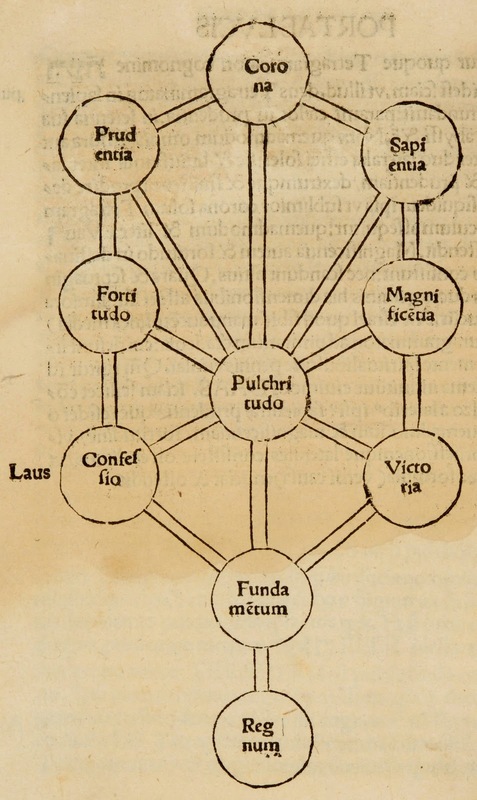 - Details of Trees of the Sephirot (in Hebrew and Latin) from the Portae lucis (Florence, Biblioteca Marucelliana). 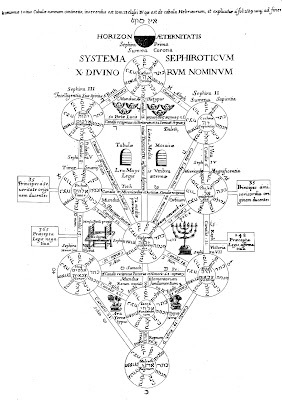 - Athanasius Kircher, Tree of the Sephirot in full elaboration, incorporating references to the ancient Temple. - Priests in Regalia from the Ancient Temple (Charles Foster, History of the Bible, Philadelphia 1884). - Florence, Synagogue (Tempio Maggiore Israelitico), Sanctuary Enclosure (and detail).